Our third-party certification offers credibility and recognizes the authenticity of the home. 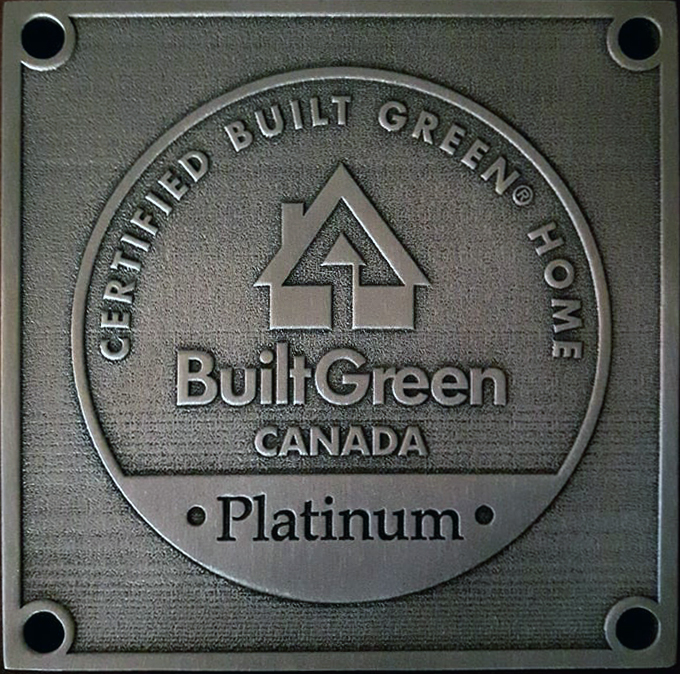 Should you like to showcase your home certification—beyond the EnerGuide label and BUILT GREEN® seal to be affixed to the furnace and/or electrical panel—you may purchase a metal plaque available in bronze, silver, gold, platinum, and generic (no level identified), at a cost of $35.00 each, plus GST and shipping. These are available for purchase to the builder or the homeowner. Plaques are 4" x 4" and may be installed on the exterior or interior of your home. For a sample or to order please email us at info@builtgreencanada.ca.